Welcome to Blue Whisper, the beach is steps away! Blue Whisper is a 4 star, 2 bedroom beach vacation rental, that sleeps 5 people on Prince Edward Island, Canada. Guests enjoy access to Chelton Dunes private beach, just footsteps away from Chelton Beach Provincial Park which has a playground, canteen, and supervised beach. Enjoy sunsets, swimming, bird watching, and a view of the Confederation Bridge from the beautiful red sandy beach just steps away. Enjoy BBQ'ing rain or shine on the 300 sqft covered deck. The cottage is all new construction completed in Spring 2012, with ~1000 sqft of living space. This private cottage is located in a quiet cul-de-sac. 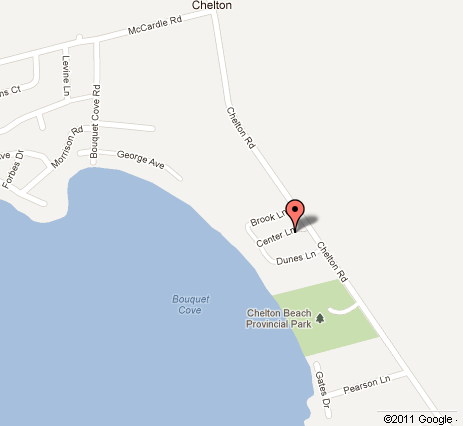 In the Chelton Dunes Subdivision with access to private beach. ~1hr from the Charlottetown Airport.